Age brings with it many rewarding benefits: wisdom, patience, experience, understanding. But you can make deliberate decisions that can transform your experience of aging into a positive and, above all, healthy one. It all starts with staying fit. 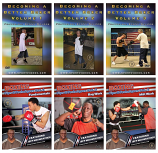 The path to maintaining and improving your physical health starts right here with the 12 engaging lectures and 6 active training sessions of How to Stay Fit as You Age. Delivered by certified fitness and wellness consultant Dr. Kimberlee Bethany Bonura, this series is the gateway to creating and practicing a balanced, adaptable fitness program that will help you stay fit throughout your life. Whether you’re experiencing typical aging-related physical changes, dealing with chronic health conditions, or planning ahead, you can get the insights, strategies, exercises, and confidence you need to make the most out of every day of your life. 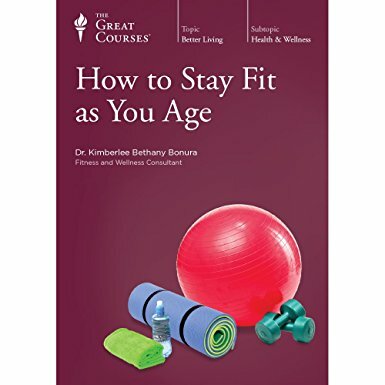 With numerous instructor certifications issued by major fitness organizations, as well as a background that combines academic research and fitness instruction, Dr. Bonura offers a unique perspective on healthy aging that makes her the perfect coach. And the support and motivation she provides every step of the way make How to Stay Fit as You Age one of the most inspiring and productive toolkits for personal wellness designed specifically for individuals beyond middle age.